Back in February the Andersonstown News reported how local residents were at their “wits’ end” as anti-social behaviour at the Springfield Dam threatened to spiral out of control. The former beauty spot has become a hotspot for young people to congregate, causing a massive headache for nearby residents. However, plans are now being put in place to restore the dam to its former glory. The Friends of the Springfield Dam group have been meeting regularly in recent weeks to put their plans into place. 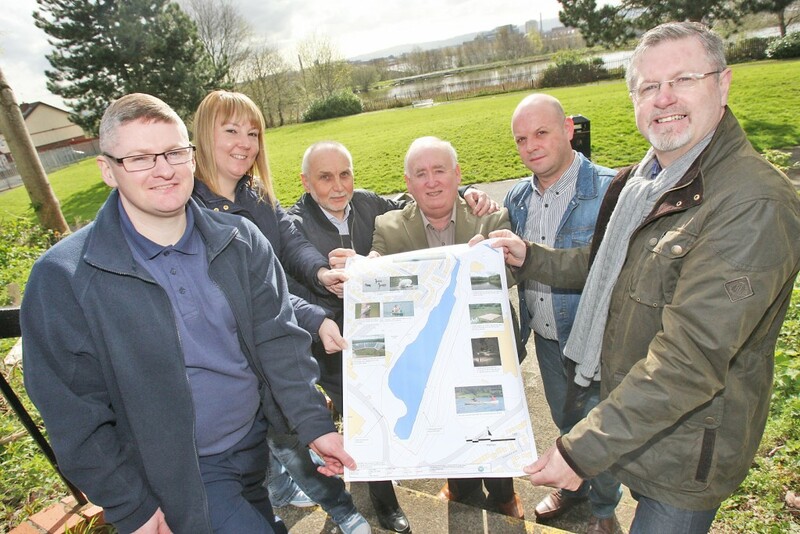 Jim McVeigh, Chairperson of the Friends of Springfield Dam group, said: “We have held a number of meetings recently with different agencies such as Belfast City Council and the Department for Social Development. “We have managed to secure some money from the DSD for a proper feasibility study that will allow us to hire people to come in and evaluate the site and work out what exactly can be done. Jim continued: “The boathouse at the Half Moon Lake is always occupied, kids from local schools go in and they learn about birds and the environment, the idea would be to turn this into something similar. Sean Murray, Chairperson of the Clonard Residents’ Association, said: “The potential for this site is great, we are in a hub of activity here. Ideally we would like schools from both sides of the community to take ownership of this land, they could come here to learn about nature and learn how to fish, it would be a lovely spot for families too.